Brazil’s sugar cane output is set for a recovery in 2012, US Department of Agriculture attaches said, even as they joined the round of analysts cutting estimates for this year’s weather-harmed output. 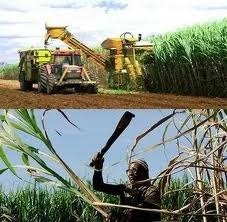 The attaches cut by 26m tonnes to 595m tonnes their forecast for the cane harvest in the world’s biggest sugar producing country, citing the impact of overly dry weather in the main Center South region since May, and June frosts in some states, on ageing cane. "Moreover, the blossoming of the sugarcane induced by specific weather patterns in Sao Paulo, Minas Gerais and Goias [states] has also supported losses, given that it diverts the plant energy towards vegetative development as opposed to sugar concentration," the officials said in a report. The attaches cut their estimate for output in the Center South by 39m tonnes to 530m tonnes, in line with forecasts from other analysts, while lifting the figure for Brazil’s North East by 3m tonnes to 65m tonnes. The downgrade leaves the attaches, based in Sao Paolo, putting Brazil on course for a drop of some 4% in cane output in 2011-12, the first decline in more than a decade. However, production next season will recover to 620m tonnes, in line with 2010-11 levels, "assuming that the Center South will recover from lower agricultural yields projected for the current crop". While the briefing made no estimate for sugar output, it forecast that sugar would continue to account for a relatively high share of cane output, after a recovery to a 47% level expected for 2011-12, up from less than 46% last season. 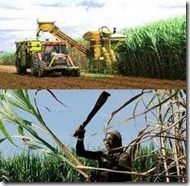 The balance of the cane crop is used to make ethanol, of which Brazilian motorists are huge users. "Sugar prices in the international markets are expected to remain attractive, and the domestic demand for ethanol should continue [to be] limited by the price relationship between ethanol and gasoline at the pump," the report said. This calendar year, consumption of ethanol by Brazilian motorists is expected to drop by 10.5% to 19.8bn litres as prices of the biofuel rise, lifted by the competition for cane against sugar, whose prices remain near historic highs. Indeed, Brazil will require record imports of 1.02bn litres of ethanol – up from 76m in 2011- to meet even this reduced demand. Imports will ease to 770m litres in 2012 as domestic production stages some recovery, to 25.5bn litres, in 2012, the attaches forecast. Imports have been encouraged this year by the elimination in April of a 20% tariff, set to be reinstated at the beginning of next year. New York’s benchmark October raw sugar contract stood 1.5% lower at 28.97 cents a pound at 10:30 GMT.